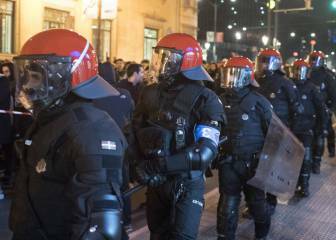 Heavy Police presence couldn't contain fighting between Athletic Club and Spartak Moscow fans before Thursday evening's Europa League tie in Bilbao. 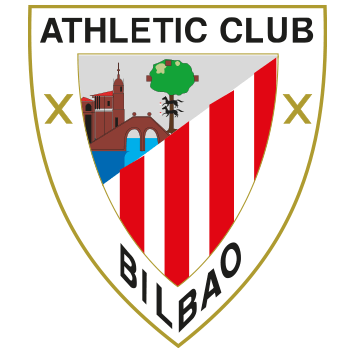 Violence before Thursday evening's Europa League return leg between Athletic Club and Spartak Moscow claimed a victim as reports that a member of the Basque civilian police, the Ertzaintza, went into cardiac arrest during fierce fighting between fans from both clubs. 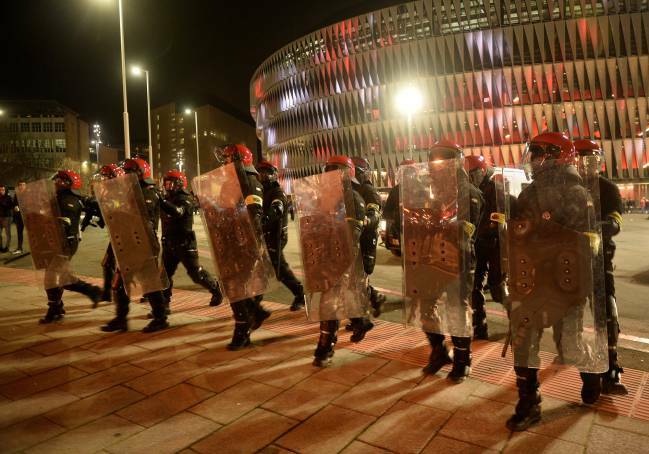 The police officer, who was one of five people taken to the Basurto University hospital in Bilbao before the game kicked off, was confirmed dead shortly after 22:00 hours. The officer has been named as 51-year-old Inocendio Alonso García. Video footage suggests he fell the ground without being struck and his colleagues immediately began trying to resuscitate him. 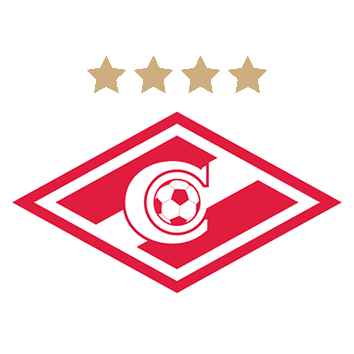 Despite all of the pre-match precautions, rivals fans from Spartak Moscow and Athletic Club staged a pitched battle in the areas close to San Mamés. 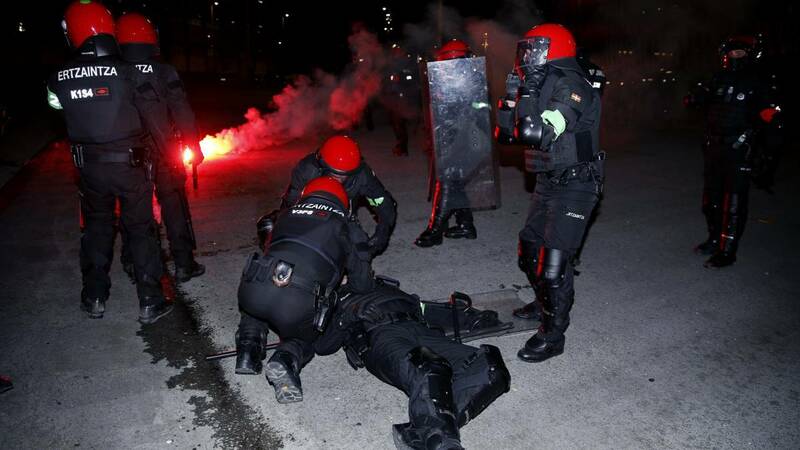 The first scuffles took place about an hour and half before the game kicked off at 19:50 hours local time. Prior to that, groups of Russian hooligans met close to the regional television headquarters ETB but a quick response from the civillian police the Ertzaintza prevented trouble from escalating out of control. But shortly after that, fighting broke out in the Deusto district when a few Russian ultras threw a glass at a group of home fans. 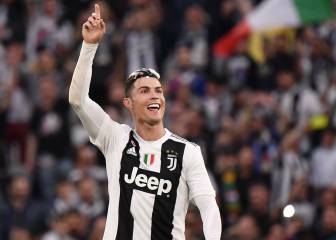 Bottles, glasses and flares were hurled from both sets of fans and only a police charge prompted a pause in the battle which left four, wounded - including three Russian fans and one policeman who was taken to hospital after receiving a blow to the face. Five people were arrested for public disorder, three of who are Russian. 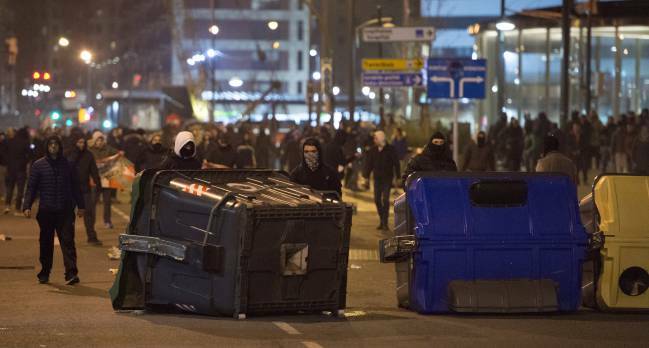 The atmosphere in Bilbao remained tense with several hundred travelling fans believed to be without tickets for the game. 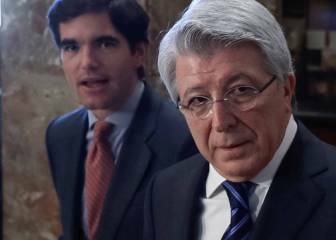 Cerezo on Simeone's comments on Torres: "I've heard nothing"